« Magic Mike: Nightmare in Steel City? A Clear and Present Danger! The gravity of the situation in Syria – where the US and Russia both have armed forces operating, with drones and planes flying around dropping bombs all over the place – was clearly reflected in the faces of John Kerry and Sergei Lovrov as they announced their policy of “deconfliction” in Syria at the United Nations. Tasked with devising a policy designed to prevent an accidental clash between the US and Russian military forces deployed in Syria – the consequences of which are too frightening to contemplate, except for those religious fanatics who believe they are going to ascend to heaven when the earth goes up in the flames of nuclear holocaust – the American Secretary of State and the Russian Foreign Minister have given us “deconfliction,” a new word coinage of uncertain intent conjured up to explain a hastily drafted policy. However what is all too clear is that the two top foreign policy officials of the world’s greatest military powers felt the situation in Syria is so serious that taking measures to prevent an accidental conflict between their countries cannot be postponed or confused by employing provocative language, or inciting tensions with jingoistic posturing. Hence when they called for an immediate meeting of Russian and American military commanders in Syria, to work out the details of a strategy to implement the newly minted policy of “deconfliction,” I let out a sigh of relief. I view this move as evidence that the Obama Administration has finally accepted reality in Syria. However anyone who watched President Vladimir Putin of Russia on CBS’ Sixty Minutes last Sunday heard him present a coherent policy on Syria that recognizes the political and religious conflicts in the region – which are often the same thing – and explicate the dire consequences of following the ill-conceived, unrealistic, policy of the American government. Putin correctly recognized that the very existence of ISIS is the result of the epic failures of past US decisions in the Middle East – like the invasion of Iraq and the overthrow of Sadam Hussein. And he astutely warns that present US policy based on the overthrow of the Assad regime will lead to an even worse disaster. Putin’s policy is to support the existing Syrian government against the insurgent forces because they are controlled by Islamic Jihadists, many of whom support ISIS, the dreaded enemy that both the US and Russia have vowed to wipe out. And while he exempts the “Free Syrian Army” from the “terrorist” list he does not know how many Jihadist are within their ranks ut would support negotiations between them and the Syrian government once the Jihadist have been defeated. The Russian President’s analysis on Sixty Minutes was cogent and fully takes the facts on the ground into consideration. The most important fact is that everywhere strong secular leaders have been overthrown the Islamic forces come to power because there is no countervailing force to resist them. Arming these anti-government insurgents is clearly folly because the arms inevitably end up in the hands of the Jihadists. Hence this cure is demonstrably worse than the disease. The most striking revelation provided by Putin’s interview is that the Russians have clearly defined objectives in Syria: shoring up the Assad government while assisting in the fight against the anti-government insurgents. By comparison the US has no clear policy and thus our strategy is in disarray. The US is committed to the overthrow of the Assad government but has no idea who will replace it. Calls from the Republican right to arm some factions demonstrates that they have learned nothing from our recent history in the region. Virtually all of the arms that were used against American forces in Afghanistan and Iraq were manufactured and delivered to the region by the US government. That is the plain fact of the matter. It goes without saying – but I must say it so that my remarks will not be seized upon by conspiracy theorist and add to the confusion – when the US armed these insurgent groups they considered them allies against Communist influence in the region. During the Afghan Moujahadin’s war to expel the Russian backed goverment in Afghanistan, some clueless US policy wonks came up with the silly idea that because Americans were Christians, “People of the Book” and “Children of Abraham” like the Muslims, this gave us a leg up over the communists with the Islamic fundamentalist. They took our weapons, killed the Marxists, then turned them against us, our clients like the Saudi Royal family, the Egyptian government and their religious rivals like the Shia. The result is the Taliban, al Qaeda, Al Nusra, ISIS, and only Allah seems to know what’s next. Hence to arm ANY faction in Syria would be criminal folly that will only add to the tragic waste of American blood and treasure in the region. And unless the US and Russian governments can coordinate their military efforts in Syria the result could be make the conflict with ISIS look like a play pen fight. And as of this writing the principle of “deconfliction” appears to be the best way out of this perilous imbroglio. Joining forces with Russia and Iran is without a doubt the best approach to defeating ISIS. Alas, when we hear the howls rising from Congress, driven by the demands of the Israel Lobby, the major influence in shaping US policy in the region, there is little likelihood that such a sensible policy will be pursued. If the Republican right considers cutting deals with President Obama to govern the US as a betrayal of their constituents, they will surely view any alliance the President makes with Russia and Iran an act of treason! And it wouldn’t surprise me a bit if they attempted to impeach him for it! After all, some have called for his impeachment for exercising his executive authority to foil Republican attempts to prevent him from governing effectively. In this sense President Putin is far better positioned to play an effective role in the war against ISIS than President Obama, who is reduced by a Congress controlled by the Grand Obstructionist Party to spouting pious platitudes about the oppressiveness of the Assad regime even as we remain close allies with the Saudi Royal family – a murderous desert monarchy that promotes medieval religious practices enforced by modern police state tactics, again employing weapons supplied by the US. I know this analysis will sound distasteful to many Americans – especially the avowed “American Exceptionalists” in the Republican Party. But these are grave matters that involve the survival of modern civilization and even life itself on this planet. Hence it is both a sin and a shame to sacrifice honest analysis for self-serving fables; to reject truth in favor of national pride. It is axiomatic that the first casualty of war is truth. However we are not at war with Russia yet…at least not a hot one that involves the use of armed forces. And all parties must do everything in their power to keep the peace….because any military conflict between the US and Russia will involve NATO and the Russians will be forced to go on nuclear alert and that could lead to doomsday! World War III could accidently break out in Syria! It is precisely because the present situation in Syria – where American and Russian forces are operating in a theater of war – is so dangerous, that a policy of de-confliction is imperative. We need to emphasize the objectives we hold in common and compromise where we disagree. 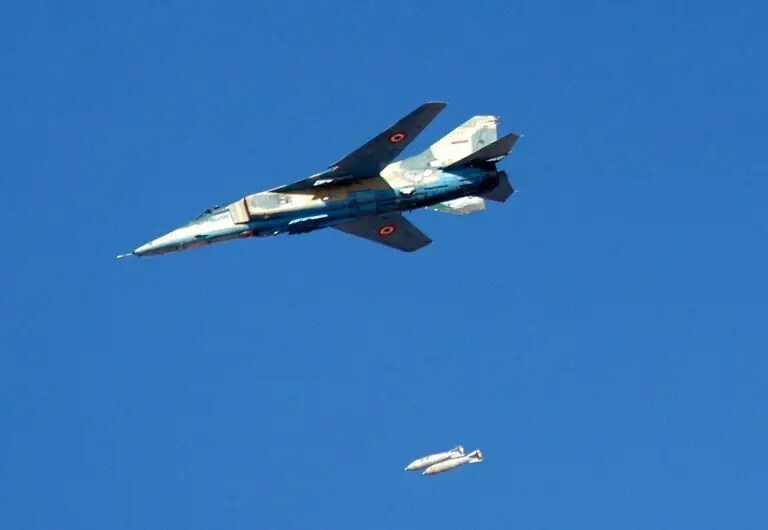 This is no picayune task, but failure to resolve the antagonisms between the US, Russia and Iran in Syria represents a clear and present danger to all mankind. This entry was posted on October 3, 2015 at 7:00 pm and is filed under On Foreign Affairs, On War and Peace in the Mid East! with tags American and Russia in Syria, The Growing chance of War with Russia. You can follow any responses to this entry through the RSS 2.0 feed. Responses are currently closed, but you can trackback from your own site.